Nice testing. These real world rendering and video exporting tests really shut down the claims one sometimes sees about not needing mobile devices to be any faster, how much faster do they need it to launch an app, etc. I’ve done video editing on an iphone and ipad and the speed gains are welcome. Can you post what the landscape software keyboard looks like? When the 10.5 came out, it had a full horizontally spaced keys on the software keyboard in landscape, and that was basically would kicked me into buying it. Still not fully spaced vertically, but close enough. The wider 11” model will be wide enough to add another column of fully spaced keys, like and escape, tab and a meta key. The more they improve the keyboard, the better and better it becomes a computing device. It's just about a given that Apple will migrate it's laptops etc to ARM in the future with these specs. Obviously more work will need to happen, but it's approaching. You can marvel at the high price, but it seems like anyone who really needs this much power shouldn’t have too much trouble justifying the price (and probably writing it off on their taxes). For everybody else, there’s the regular iPad. I have the 10.5” Pro, and I’ve never for a second regretted the purchase, but I also recognize that it’s more than I really need. They're working on Thunderbolt3 for ARM. Then, they'll release a machine that has an Intel "sidekick" processor for backward compatibility. Intel won't allow emulation of x86 on ARM and, unfortunately, AMD bargained most of its rights away, such that if Apple were to buy AMD, it won't help. Of course, they could buy Intel, but I don't think they want that kind of overhead. Apple doesn't have to buy AMD but they could use AMD processors instead of Intel. The newer AMD processors starting with Zen 2 architecture look extremely competitive, if not better, compared to Intel's offerings. I think both of you are whistling past the graveyard. The Mac will move to Apple’s A chips and that will the end of Windows and Linux on the Mac unless those developers produce ARM versions. The emulation crowd is loud and raucous but ultimately a tiny subset of the market. I would bet serious money that macOS is already running on an A12 Bionic in a secret lab somewhere inside Apple Park. With the tech we see right now, Apple could add mouse/trackpad support to iOS, install the iPad Pro guts into a MacBook body, and we'd have the next generation of MacBooks. Many developers use Macs, not only for iOS development, but to run VM's to do Windows and Android development. It'll be interesting to see what happens when Apple transitions its Macs to ARM processors. But that wouldn’t solve the problem. Also send are good but the A12X is already beating the 2400G & 2700U as an APU. Good review (background music might need to duck a tad). Good to see the real-world tests coming through. I think hardware tessellation is what’s boosting graphics rather than raw compute (hence the detail in the basketball game on the keynote) shame GFXBench Tessellation test doesn’t work on iOS. 1) on video; can we have h264 vs h265 exports from several products? There should be some hardware acceleration happening here as with the T2. 2) on photos; can we have Affinity Photo macros running comparisons rather than just import/export? Though on export, HEIC tests as I think that’s on new silicon too. Though the new iPad Pro beckons. Apple wants Mac's to die, they want people to buy iPads, so Apple can cream 30% off all sales, as everything needs to go through the app store. 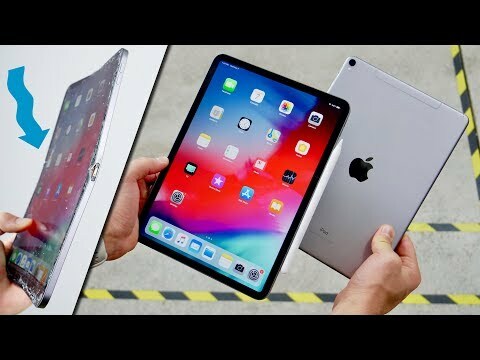 They are making the iPad as powerful as they can to entice software developers to release full versions of their products on the closed platform. Without the software support, the iPad will just remain a mainly consumption device. Will software developers follow apples wishes, it would surely depend on sales figures and I thought iPad sales were on the decline, so that won't help apple reach its long term objective.
" thought iPad sales were on the decline, so that won't help apple reach its long term objective. " It's sort of been a roller coaster. In the beginning sales skyrocketed but then started to decline after the introduction of the iPad Air. 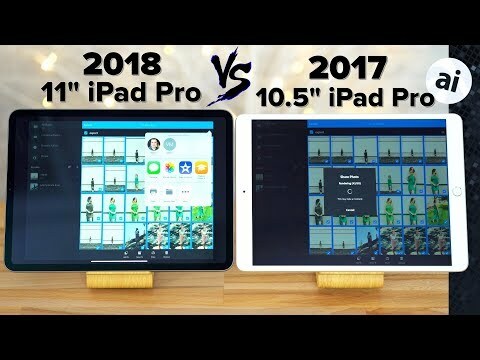 When the first iPad Pro was revealed, sales increased again a little bit but then according to the last couple of financial conference calls, sales were flat or slightly declining. Matter of fact, per Q4 FY2018 results, revenue from Mac sales were almost double revenue from iPad sales, so the Mac is a healthy business. And if the Mac did, how are developers going to develop for iOS? 1. Apple does not want Mac sales to die - they want their reliance on Intel to whither away. 2. Not everything needs to go through the AppStore, institutions can install applications directly onto iOS devices. And a vast majority of software profits are made in the enterprise, not sold individually to end users. 3. IOS is not a “closed” platform... I can download the developers tools, write my own apps and install them on my iOS devices. The only thing thing closed is the software distribution model. Even then, I could give someone my code and they can compile it and install it on their own device. The Mac will move to Apple’s A chips and that will the end of Windows and Linux on the Mac unless those developers produce ARM versions. The emulation crowd is loud and raucous but ultimately a tiny subset of the market. I would bet serious money that macOS is already running on an A12 Bionic in a secret lab somewhere inside Apple Park. Both Linux and Windows 10 already run on ARM. On the other hand many professionals rely on both x86 compatibility and the ability to run efficient virtual machines. Much of modern enterprise software development for example is wholly dependent on those technologies. It isn’t clear if Apples’ CPU designs allow for versatile VMs and x86 emulation is problematic (mostly because Intel is threatening legal action). I think that if Apple does transition to ARM it won’t be the whole product line. Pro level Macs will remain Intel based for the foreseeable future. 1. Nobody is "against" progress of SoCs having more raw power. The better the higher-end becomes, the mid-range/low-end phones also benefit from the performance gains. 2. Question is - how much % of phone users "actually utilize" that raw power available? 3. If the answer to above question is <10%, then it leads to more questions - Is this not a case of "niche" market which Apple usually does NOT cater to? Like people who need 3.5mm jack, larger battery, dual sim, expandable memory and so on?